Service Costs > How Much Does it Cost to Rekey Locks? How Much Does it Cost to Rekey Locks? Rekeying a lock is the process of taking a lock and rekeying it so that it accepts a new key. According to many locksmiths, one of the most common jobs done is the process of re-keying locks at a home or a business since this job is going to be a lot cheaper than getting new locks installed in each door. This job is often done when a residence or business changes hand and the owner wants to change the keys/locks. The cost of re-keying a lock is going to depend on the number of doors that need to be done, the locksmith performing the job and geographical location. How much does it cost to rekey a lock? On average, a locksmith is going to have a minimum service charge that ranges anywhere from $35 to $75 to come to the house. This service charge can greatly depend on how far away the locksmith is located. Trips that are less than 30 minutes can be on the lower end, while a trip that takes over 30 minutes can be on the higher end. After this minimum service charge is applied, each cylinder that has to be re-keyed can cost anywhere from $10 to $28, depending on the type of lock. If you’re able to take the locks off and take them directly to the locksmith, then costs could be closer to $10 per lock without the service charge. For example, Mark’s Locksmith located in Beaverton, Oregon, has a trip fee that ranges from $40 to $50 with an additional $10+ per lock. Home Depot and Lowe’s will rekey a lock if you take it directly to their store. According to some reports online, some say the store will only do it if you purchased the lock from them, while others have said they charge $5 to $10 or free at the time of purchase. During the process, the locksmith will dismantle each lock that has to be replaced, and if requested, a locksmith will be able to create a master key that will open all the locks in the home that have been re-keyed. The locksmith will remove the pins and springs inside the cylinder and will replace them with new pins and springs that work with the new key. Unless the lock is malfunctioning, every lock can be re-keyed. Each lock should take about 10 minutes. Each additional key can cost anywhere from $2 to $4 each. Keys that cannot be duplicated or say “do not duplicate” will cost an extra $1 to $3. Re-keying an automobile or motorcycle can cost significantly more than re-keying a home. Keep in mind that some locksmiths cannot perform this service due to the complexity of the process. To have the process expedited, additional fees can be applied if it has to be done within a 24 hours. Consider new locks such as the Kwikset SmartKey feature. These locks enable the homeowner to re-key their own lock using the tools that come inside the kit. The locks can start at $30 and the re-keying set can cost as little as $7. The nice thing about these locks is that not only are they easy to change, you will also find out that many locksmiths have a very hard time breaking into these, almost making them thief proof. If one lock has to be replaced, it may be cheaper to purchase a new deadbolt kit since these kits can cost as little as $30. Installing a deadbolt is rather easy, and if you’re unsure on how to install one, consider various resources online to assist you with the project. If purchasing a deadbolt and lock and are considering a bulk purchase, consider looking for a contractor’s pack. 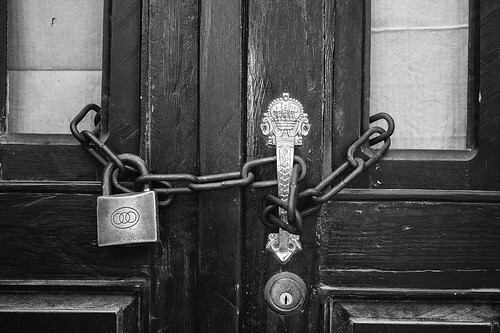 Call at least three locksmiths to get an accurate quote over the phone, but when doing so, keep in mind that there are many referral services who will take your information and pass it onto the highest bidder. Always ask for the name of the person you’re doing business with. For those who like DIY jobs, there are rekeying lock kits online for $7+. The popular Defiant rekey kit, for instance, retails for $100.